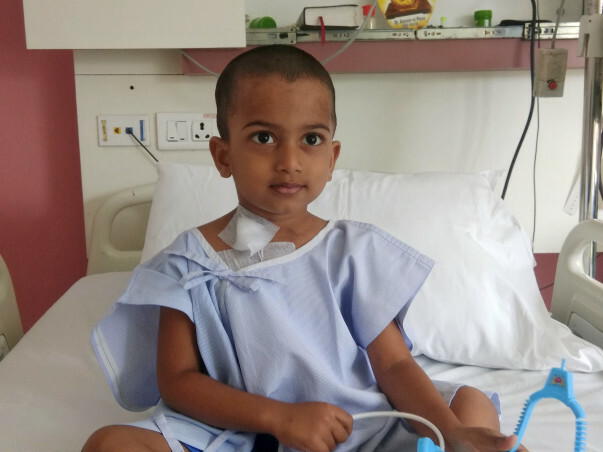 Help 3 Year Old Saksham Fight Blood Cancer. 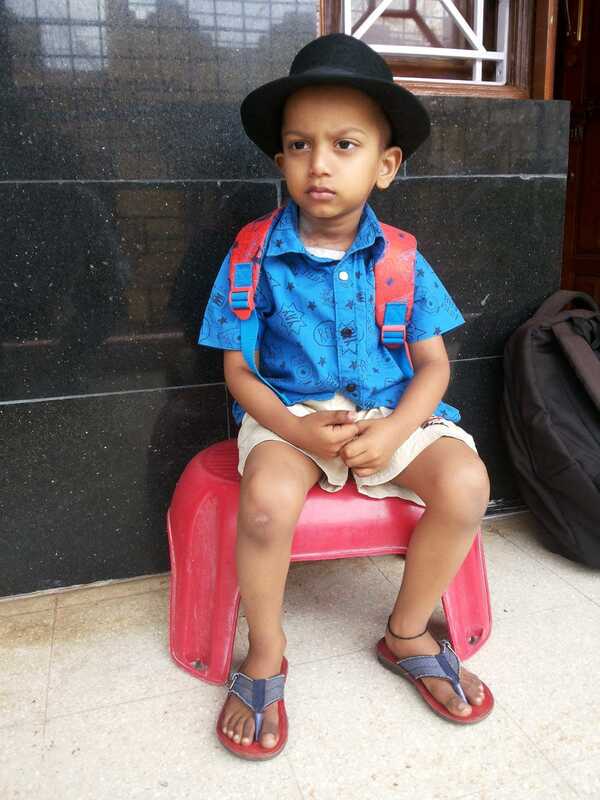 Saksham was a normal healthy child till one month back. 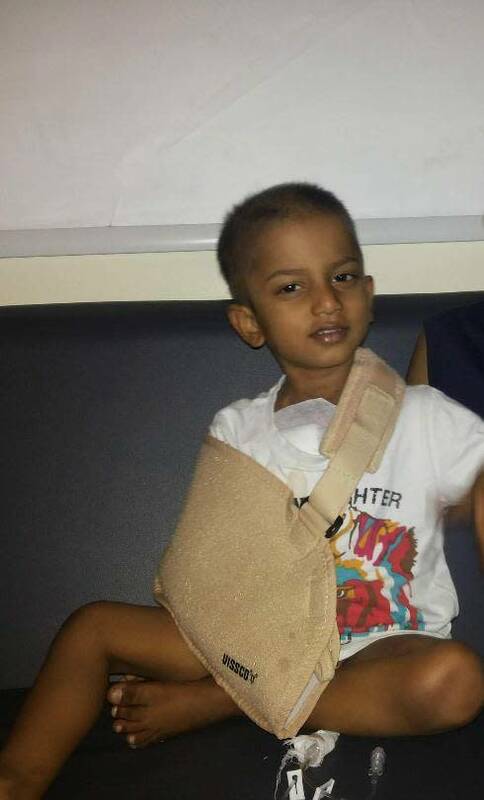 But hell let loose on us when our 3 year boy was diagnosed with Acute Lymphoblastic Leukaemia (Blood Cancer) on 23rd Feb 2018. 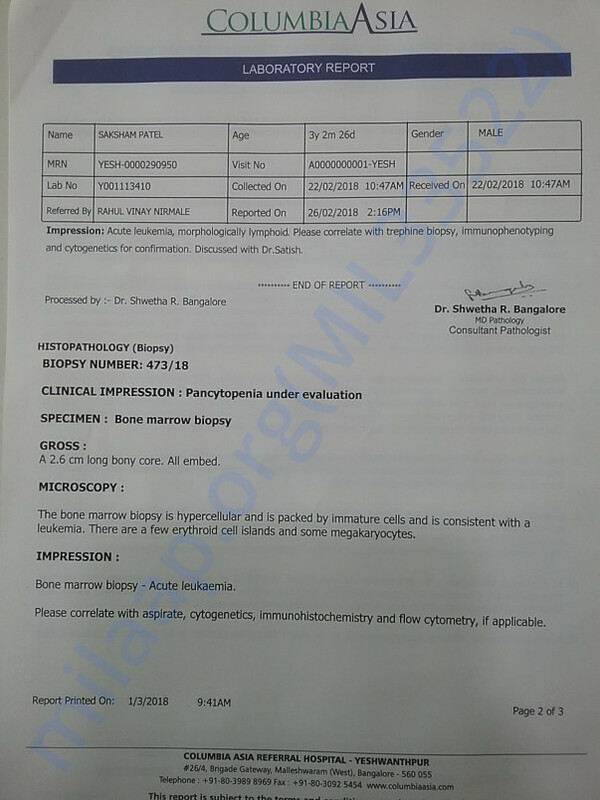 Since then he is under treatment at Columbia Asia Hospital, Yeshwanthpur, Bangalore. Saksham requires a long term treatment over a period of 6 months and then follow up and maintenance for more than 2 years. 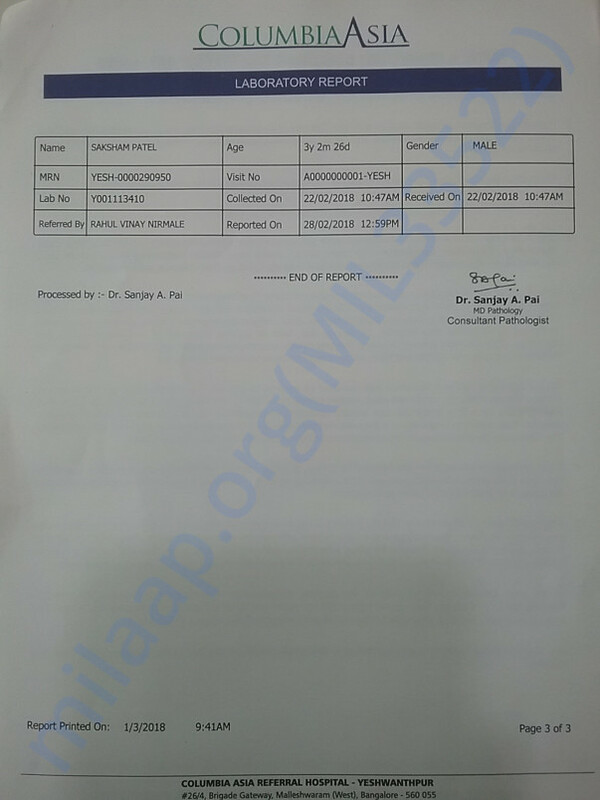 The hospital has given an estimate of 23 lacs for a 6 month treatment. We are unable to generate so much of funds ourselves and hence this campaign to raise funds for Saksham. The proceeds will be used exclusively for his treatment. 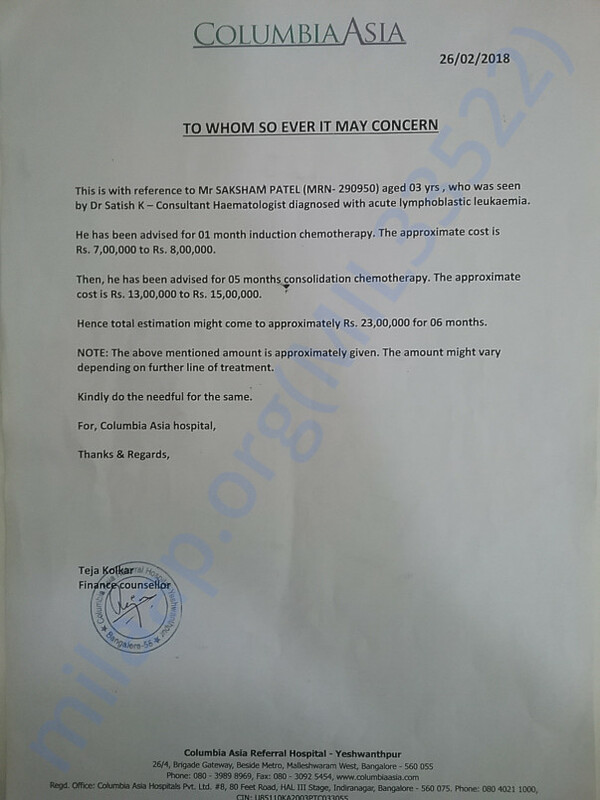 Please support our campaign and help Saksham fight Blood Cancer. We are truly overwhelmed and touched by the response Saksham has been receiving for his campaign. We are deeply humbled and would like to thank each and everyone who has been a contributing factor to this campaign. A BIG THANK YOU to ALL of YOU. 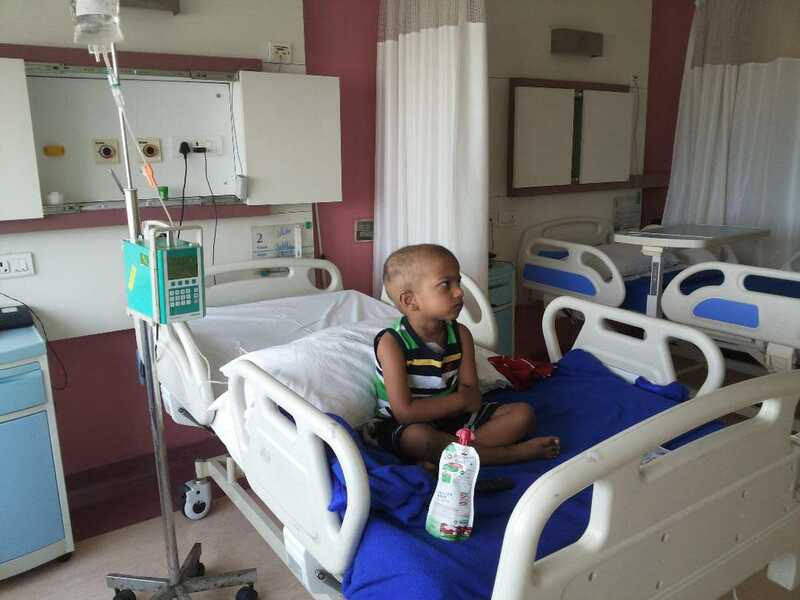 Saksham has been doing well and has completed 4th month of Chemotherapy successfully. He had a small fall and had a hair line fracture on his shoulder a few days back, but he is fine. Doctors have been very positive about the progress so far and with all you people's prayers and good wishes, he will definitely defeat this dreaded disease. 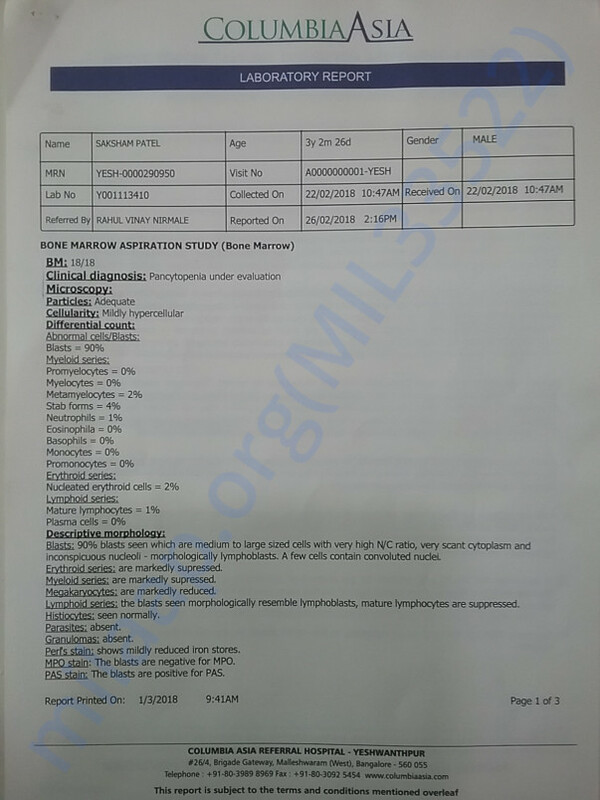 But there is long way to go in terms of medication for next 2 to 3 years and regular monitoring of his blood. All that will again consume a lot of money and we will be using this funds to pay for those expenses which would arise every now and then. Simultaneously, we also would seek your blessings in all forms possible. Once again, thanks to one and all who is helping our son on the path of recovery.